My great-grandfather, George Ward, was a member of the Irish Volunteers 1st Battalion Dublin Brigade in 1916. 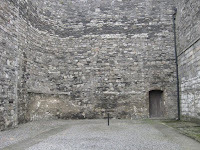 During Easter week he served in the Four Courts garrison under Commandant Ned Daly. He kept a diary during the week which tells of the events and fighting that he was involved in. 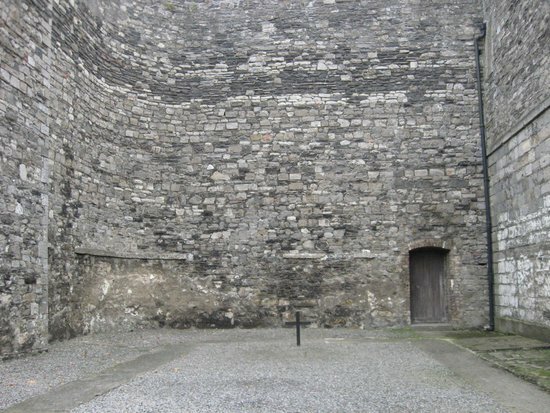 For most of the week he was part of a group of volunteers who occupied Jameson’s Distillery. On the sixth day they came under pressure from the British forces who had surrounded them. They retreated to Church Street and my great-grandfather George was part of a group who provided important cover fire for the volunteers. He also wrote about his hunger and exhaustion when the garrison surrendered. His British captors gave them tins of bully beef and biscuits. George’s commandant, Ned Daly, was one of the executed leaders. George himself was sent to Frongoch prison camp in Wales. He was released and sent back to Dublin on 16 July 1916. He was pleased to survive and glad to return home to his wife, Mary Frances Ward and their child. My grandfather, Michael, was born eight years later. My family and I are very proud of the part played by my great-grandfather, George Ward, in the 1916 Rising. On Wednesday, 6 April, the Transition Year classes and 6 Irish teachers went on a trip to Croke Park stadium, to commemorate the 1916 Easter Rising. We had a tour of the stadium itself and were fortunate enough to go on the skyline tour, a walkway along the roof of the stadium. All of Dublin could be clearly seen from the rooftop, including the sites where battles for Ireland’s independence took place. Afterwards, we visited the museum, where we learned more about the history of Gaelic games. 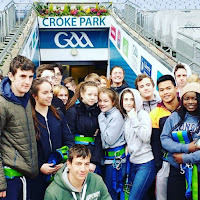 It was a really fun day out and on behalf of Form 4, I would like to thank the Irish teachers for organising this event. 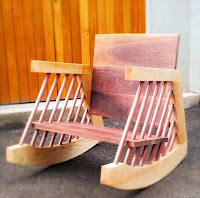 Congratulations to Stephen Doyle (6CR) on the completion of this beautiful wooden 'Harp' chair as part of his Construction Studies course. Stephen's unique design was inspired by the centenary of The 1916 Rising which can be seen most clearly in the distinctively Celtic harp-shaped arms of the piece. Both NCAD and DIT have provisionally offered a college place next year to Stephen on the strength of his practical work. Well done! 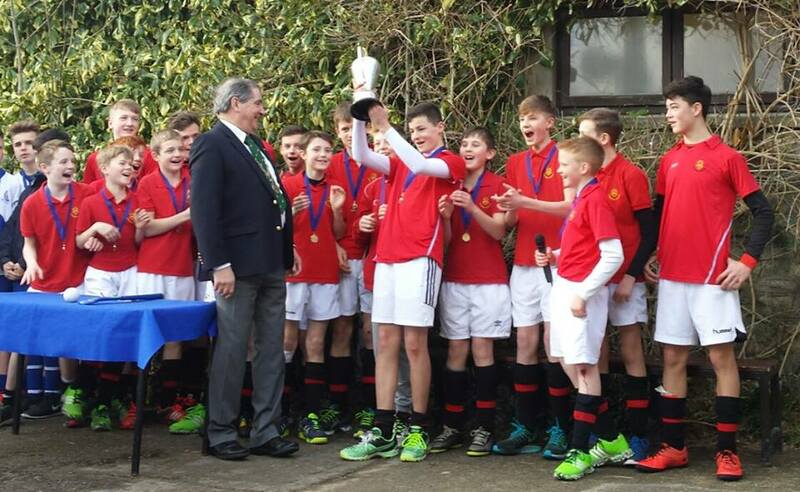 Congratulations to the Minor A boys' hockey team who have won the John Waring All Ireland Schoolboys Championship for the first time in the history of the school. 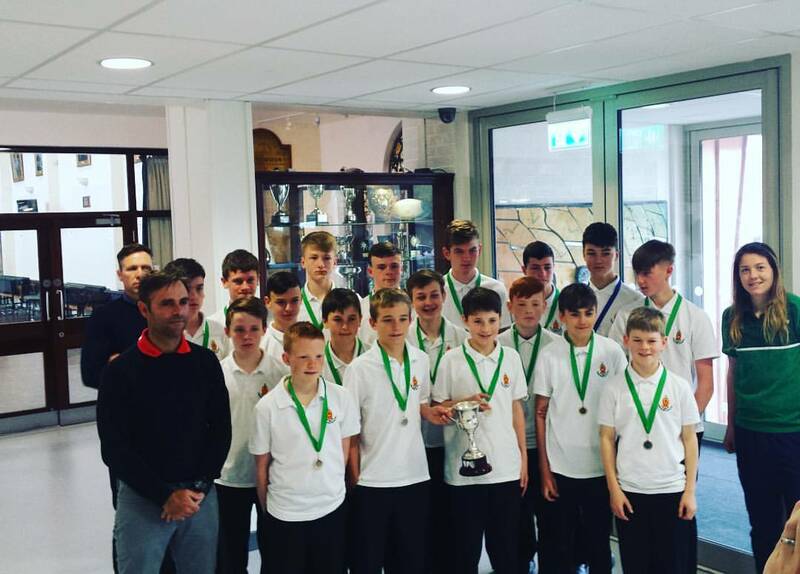 At Friday's assembly, Craig Fulton Irish Men’s Olympic hockey coach presented the medals to all Ireland winners. 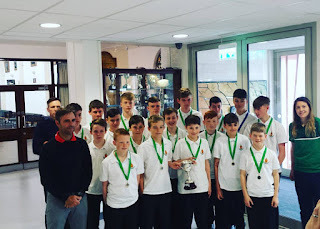 The team had qualified to represent The High School at this prestigious competition for the fourth consecutive year having defeated St Andrew's College 1-0 to win the Leinster Minor league title for the first time in the history of The High School earlier in the season. We warmly congratulate the team on the significance of its achievements in 2015-16 and wish all members of the squad every success in future competitions. On Friday 18 March a group of 20 nervous but highly excited High School pupils gathered at Dublin airport ready for the trip they had spent the previous year fundraising and preparing for. 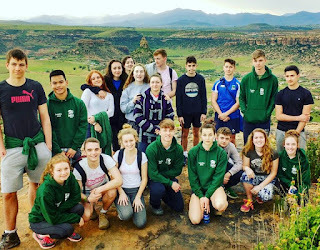 Accompanied by five teachers, we flew via Ethiopia to Johannesburg, where we stayed for one night before travelling to Lesotho. The kingdom of Lesotho is a beautiful, mountainous country. Landlocked by South Africa, it has the fifth lowest life expectancy and second highest AIDS rate in the world (one in five adults is living with AIDS). Sixty percent of people from Basotho are living in extreme poverty. Once there, we worked hard for five days to finish two houses for families in the village of Mathebe. Though the work was hard it was extremely rewarding and we learned so much from talking to the villagers and playing with the children. Our visit to the headquarters of the national partners of Team Hope to hand out gift-filled shoeboxes was also incredibly eye-opening and for many was one of the highlights of the trip. 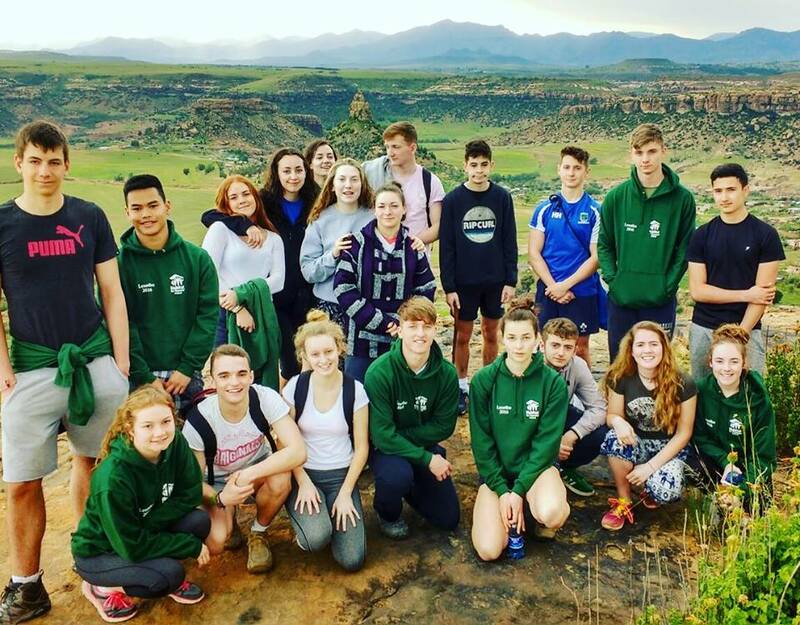 Our experience in Lesotho was amazing and will not be forgotten by anyone on the team. Once we had finished work on the houses we returned to South Africa where we enjoyed a trip to a safari and to the water-park in Sun City. The trip had a hugely positive impact on everyone involved and I would strongly advise anyone interested in going on the trip next year not to hesitate in applying. What's Up in The Art Room! 2nd Year Clay Masks - Theme "In the Garden"
The High School Minors defeated St Andrew's College in the Minor Cup Final at Three Rock Rovers. It was an end to end game with a lot of chances. Harry Lynch broke the deadlock with a short corner goal just five minutes before half time. High School dominated the second half with St Andrew's College having a couple of counter attacks. Tommy Myles, The High School's keeper, made a key save in the last couple of minutes but fortunately the final whistle blew and The High School Minor A team won 1-0 for the first time in the school’s history. On Friday 10 March, all Form 2 pupils went on a history trip to Glasnevin Cemetery. Our tour guide was very knowledgeable and we all learned a lot. 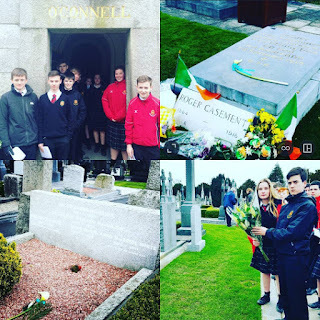 We visited the graves of many famous people such as Eamonn De Valera, Michael Collins, and the founder of the cemetery, Daniel O'Connell. One of my favourite graves was that of Countess Markievicz, the first woman to be elected to parliament. We left her flowers as a tribute to the extraordinary contribution she made towards women’s rights. On 28 March, 37 Form 4 pupils and 4 teachers met bright and early at Dublin Airport’s Terminal 2. 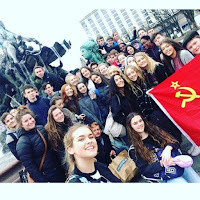 We arrived at Berlin and got a guided bus tour of the famous city, seeing sights such as the Brandenburg Gate, the palace at Charlottenburg and the Reichstag. 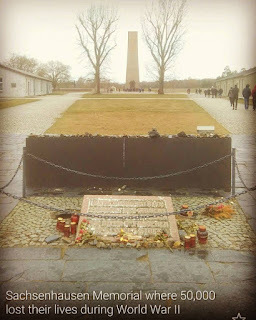 We then visited the Berlin Wall and the ‘Topography of Terrors’ Museum. On the second day we visited ‘The Story of Berlin’ museum and we were lucky enough to see a nuclear fallout shelter. We also went to the ‘Stasi Museum’ learning all about the secret police based in Germany during the 1940s. At the Science Centre, we participated in lots of different science based activities and experiments. We dined at Route 66, an Americanised diner in central Berlin. The following day, we visited Sachsenhausen Concentration Camp, a labour camp in use during the time of Nazism. Afterwards, we made our way to the ‘Tropical Island Water park’, a huge indoor water park containing a large selection of swimming pools, water slides and other fun activities like hot air ballooning and mini golf. On the last day of our trip, we went to the Olympic Stadium in Berlin where Hertha Berlin and the German national team play. Also, the Olympics were held there in 1936, when Adolf Hitler famously refused to shake hands with American athlete Jesse Owens. Afterwards we were brought to Alexanderplatz where we were given the afternoon to spend shopping. We made our way back to the airport for our late night flight home. It was a wonderful school trip. It is the centenary of the Easter Rising and all over Ireland school children are learning lines of the poem written by The High School’s most famous pupil, William Butler Yeats (HSD 1881-1883): ‘Easter 1916’. There is no denying that Yeats cared deeply about Ireland’s cultural independence, but he had no first hand experience of the unfolding events themselves, and he was left only to comment after the fact. The same could not be said for his fellow High School old boy, Captain Herbert Stanley (HSD 1892-1901) who was one of a handful of eye-witnesses who were actually present at the execution of the Rising leaders. Stanley was born in Blackrock, studied at The High School and trained as a dentist. He was in charge of the Red Cross Hospital at Dublin Castle, tending to soldiers home from the Western Front when the Rising began. He soon found himself in the unenviable position of being Medical Officer at the executions of the rebels at Kilmainham Gaol. It was Captain Stanley who signed the death certificates of, amongst others, Pearse, MacDonagh and Clarke. Father Aloysius, a Capuchin Friar who met Captain Stanley while tending to the spiritual needs of the prisoners said of him: ‘ I must hear stop to pay tribute to Captain Stanley. All through these days, and I had many occasions to meet him, he showed himself a kind-hearted and Christian man. In religion as well as politics differing, he respected the conviction and admired the courage of the men, and was anxious to do any service he could for them in keeping his with his duty. Connolly himself told me that Stanley had been extremely kind to him. Nora Connolly, who likewise described Stanley as being ‘very, very kind’, also confirmed her father's high regard for him and commended especially his efforts to have her father's effects returned to the family after his execution. In 1935, the then Lieutenant Colonel Stanley could still recall the dreadful events that he had witnessed. He said, "I was the Medical Officer who attended the executions of the first nine Sinn Féiners to be shot. After that I got so sick of the slaughter that I asked to be changed. Three refused to have their eyes bandaged; they all died like lions. The rifles of the firing party were waving like a field of corn. All the men were cut to ribbons at a range of about ten yards." W. B. Yeats may be The High School past pupil most closely associated with the Easter Rising, but it was the dentist from Blackrock who was the real eye-witness and who played his part in the events that changed Irish history. However, Yeats too had a role to play as the great commentator who helped the Irish people make sense of all that had happened. He said it best when he said that Ireland had been transformed by the events that fateful spring: ‘All changed, changed utterly; A terrible beauty is born’. Tuesday March 15 2016 was Proclamation Day. 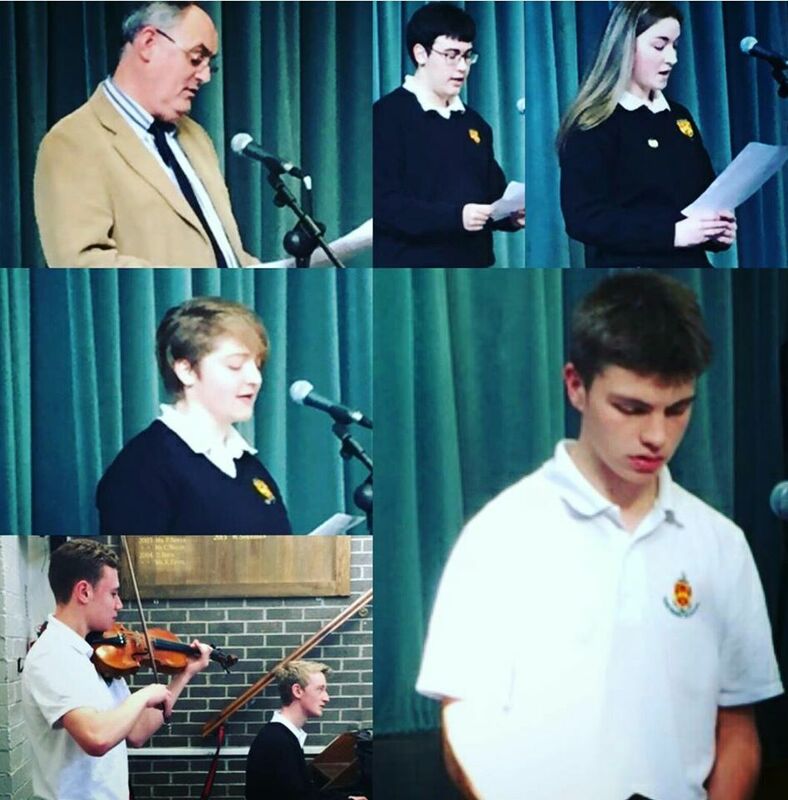 This was the day when every school in the country was invited to remember the events of 1916, to raise the Irish flag and to read The Proclamation. At The High School, we gathered together in the gym, and listened as different pupils read various sections of the Proclamation. We were treated to a beautiful rendition of Mise Eireann followed by Amhran na bhFiann. 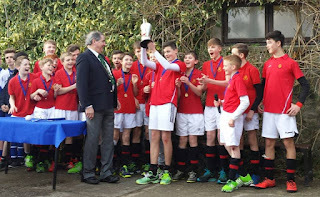 At noon, Mr G Draper raised the Tricolour while pupils sang the national anthem. It was a very moving and memorable occasion. 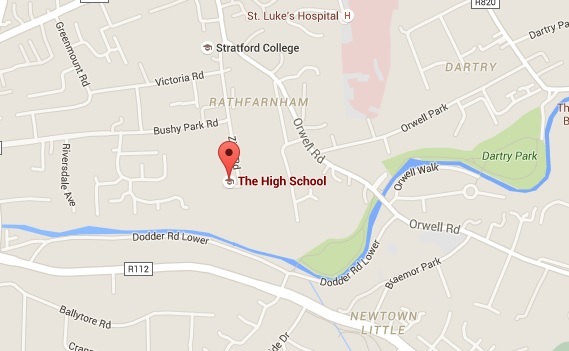 Follow TheHighSchoolDublin's board Associated School Websites on Pinterest.